StarTalk Live! at The Moody Theater Thursday, Nov. 5th! Maybe the cutest picture in the cosmos! StarTalk Live! is coming to Austin this week. In less than two days actually! I’m sorry for the late notice, but I didn’t know myself until just recently. ACL Live, in partnership with Fun Fun Fun Fest, is bringing the wonderful Bill Nye The Science Guy and co-host Eugene Mirman to The Moody Theater Thursday night, along with several special guests. StarTalk Live is the offspring of Neil deGrasse Tyson’s StarTalk radio program, which is devoted to all things space. StarTalk combines pop culture with science, humor and good natured banter, which serves to draw in audiences filled with all kinds of people. This edition of StarTalk Live will be hosted by Bill Nye and co-hosted by comedian Eugene Mirman (most well known as Gene from Bob’s Burgers). If you’ve never tuned in before, I highly recommend it! Hilarious and educational! 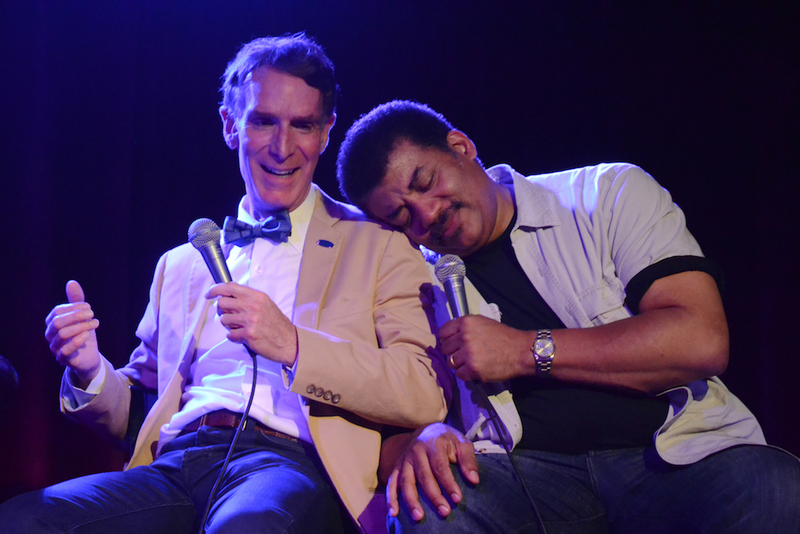 Episodes of StarTalk are available to listen to online whenever you feel like it. Tickets range from $34.50-$49.50. Doors at 6:30pm and show starts at 8pm. The Moody Theater is located at 310 W. Willie Nelson Blvd, at the corner of Lavaca and 2nd St.
Next Post MARY GAITSKILL Brings THE MARE to BookPeople!